Anna Szałucka is a Polish pianist and started her musical education at the age of seven. She completed the Bachelor Degree at the Stanisław Moniuszko Academy of Music in Gdańsk studying with Waldemar Wojtal. In years 2013 – 2014 she continued her studies at the Universität für Musik und Darstellende Kunst Wien in piano class of Stefan Vladar. Currently she is studying at the Royal Academy of Music in London under the supervision of Ian Fountain. In November 2016 Anna won the 1st Prize together with The Eller, Recital, Orchestra and Estonian Museum Awards at the 3rd International Tallinn Piano Competition. 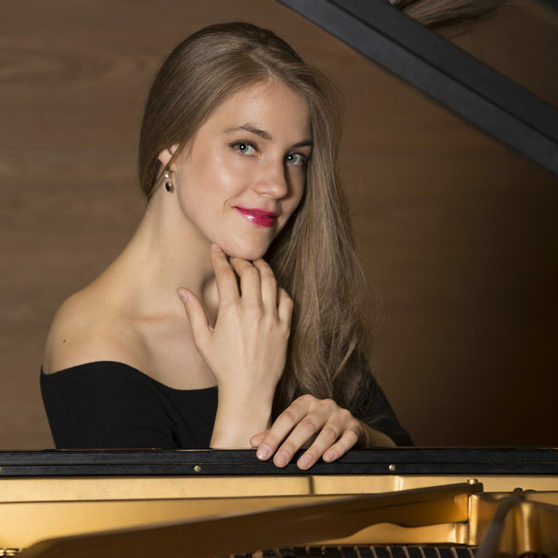 She’s a prize winner of many other competitions including the 1st Prize in Young Pianists Forum in Rybnik and the 2nd Prize and The Special Prize of Jerzy Waldorff on IX Iternational Competition for Young Pianists “Arthur Rubinstein in Memoriam” in Bydgoszcz, Poland. Anna is also a laureate of the 46th Festival of Polish Pianism in Słupsk (Poland). She’s been awarded The Jacob Barnes Piano Scholarship, Musicians’ Company – Harriet Cohen Bach Prize, Kenneth Loveland Gift Prize as well as the 3rd Prize in the International Sussex Piano Competition. Her recent successes include multiple prizes: Janet Duff Greet, Walter MacFarran and Alexander Kelly Memorial Prizes, The Regency Award as well as 2nd Prize and the Audience Prize at the Sheepdrove Intercollegiate Piano Competition. She was selected by the prestigious Musicians’ Company to give her Wigmore Hall debut recital earlier this year. Anna Szałucka has given many concerts across Poland and abroad cooperating with such institutions as The National Fryderyk Chopin Institute, Wiener Beethoven Gesellschaft, The Arthur Rubinstein International Music Foundation, The Worshipful Company of Musicians as well as BBC Radio 3, BBC Radio 4 and Radio Gdańsk. 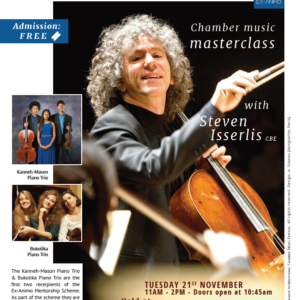 The orchestra appearances include concerts with the Polish Radio Orchestra, Estonian National Symphony Orchestra, Worthing Symphony Orchestra, Sinfonia Baltica, Pomeranian Philharmonics, Górecki Chamber Orchestra and others. Anna has developed her passion for music by taking part in many piano masterclasses, among others with Aleksiej Orłowiecki, Alon Goldstein, Andrzej Jasiński, Kathryn Stott, Imogen Cooper, Dina Yoffe, Lee Kum-Sing, Paul Roberts, Joanna MacGregor, Yevgeny Sudbin and Alberto Nosè. 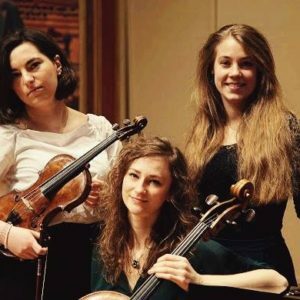 As the Royal Academy of Music scholar Anna is generously supported by the Thompson Family Charitable Trust. In Poland, she received a scholarship from the Marshal of the Pomeranian Voivodeship, the President of Gdańsk City and the Principal of the Stanisław Moniuszko Academy of Music in Gdańsk. She was also awarded the Ministry of Science and Higher Education Prize as well as Ministry of Culture and National Heritage Prize.